Making sure your websites and social media channels all work together is hugely important, and that means knowing what the role of each is. Life used to be so much simpler didn’t it? You had a website, users went to it, they bought stuff. Simple. Now we have Facebook, linkedIn, Twitter, Instagram, Flickr, Google+, and on and on and on. A new social networking site pops up and we mindlessly signup like zombies in search of brains. It’s not considered, its just what you do. We might play with it for a while but our main motivation is stopping somebody else getting the username in case the network becomes big. 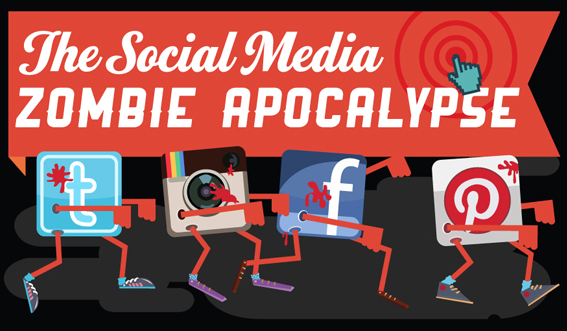 We have all turned into social media zombies, mindlessly signing up for the latest social media sensation. Before we know it we have little pockets of users spread far and wide across the web, most of which we rarely communicate with. It’s time to step back and think strategically. Start by asking which networks you are going to support and which you are going to ignore. There are three factors to consider when choosing to have a presence on a particular social network. Does it reach an audience that my other channels do not reach? Do I have the time to effectively support this channel? Does it provide me with functionality not available elsewhere? Take for example Instagram. Headscape does not have a presence on Instagram and probably never will. It doesn’t reach an audience that isn’t already on Facebook or Twitter. I can just as easily upload photos to Flickr, Facebook or even Twitter. It is just another network for me to manage with little in the way of return. LinkedIn on the other hand is another story. We have a Boagworld group and a company page on LinkedIn. That is because LinkedIn allows more in-depth discussion than I can carry out on Twitter, and it reaches an audience who are not big users of Facebook or Twitter. Choosing a network is about identifying its role in your ‘ecosystem’. Choosing a network is about identifying its role in your ‘ecosystem’. Let me explain. For me each network I utilise in promoting the work of Headscape plays a different role. The Boagworld Twitter account has the biggest active following and so is our primary social network tool. It is where users can learn about digital best practice, get a sense of our expertise and a glimpse behind the doors of Headscape. Our Headscape Twitter account is a new addition and exists primarily for announcements and news about the company and what we are doing. Our LinkedIn company page plays a similar role to the Headscape Twitter account, but reaches a different audience. If I update one, I will almost certainly send the same update to the other. The Boagworld Facebook page and LinkedIn group are meant to be more conversational. Twitter is great, but it doesn’t encourage your followers to talk to one another. Facebook and LinkedIn allows that, which can be great for peer to peer recommendations. The reason I have both a Facebook and LinkedIn group is because they reach different audiences. 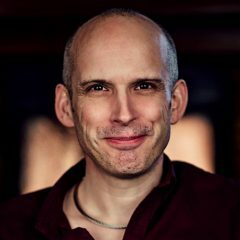 The Boagworld website and podcast are all about education. They exist to show our expertise, make people feel more knowledgable and reflect Headscape’s personality. In many ways they are an expansion of our Twitter account. Finally the Headscape website is a more formal selling tool. It answers the questions of those thinking of hiring us and shows off our work. As you can see each online presence has its role to play. Each meets a need and each ultimately draws the user back to either the Headscape or Boagworld site. But doesn’t this take a lot of management? Yes and no. I put a lot of effort into creating content such as this post, but once I have, sharing it across the ecosystem is easy. I get a lot of mileage from a single post. I get a lot of mileage from a single post. For a start, I record it as audio and upload it to Audioboo. This turns it into a podcast. That means I can reach people too busy to sit down and read a post. Recently I have started to play with the idea of turning posts into video too, but I am not sure if the additional work is worth it yet. 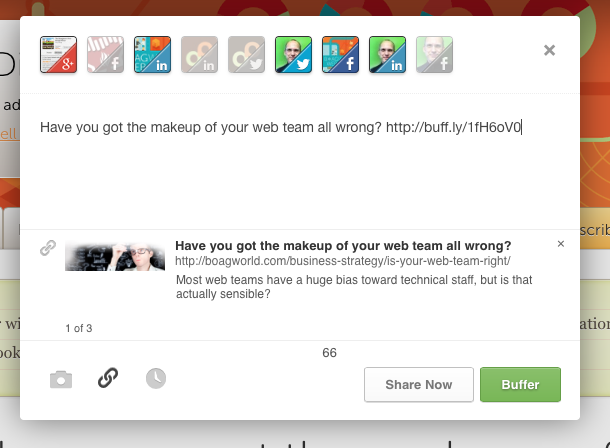 Buffer App makes sharing across multiple social networks easy. Then sharing it with the appropriate networks is easy using BufferApp. This allows me to post to as many or as few of my networks as I feel is appropriate for that post. Posts shared to Twitter tend to have the most reach, but those sent to Facebook generate more conversation (relatively speaking). Finally those posts sent to LinkedIn tend to reach the most prospective clients. In short one blog post can go a long way if you have the right ecosystem in place.